Budgeting is hard, whether you have student loan debt or not. But student loan debt just adds another wrinkle to your budget that you have to plan for. Paying too little on your student loans can leave you spinning your wheels as the majority of your payment goes to interest. Paying too much may get you ahead but could quickly start crushing your budget. There’s a fine line to ensuring your student loans payments and budget all lineup. In this article, we share five tips to help you sort it all out. Budgeting in your head month to month isn’t actually a budget. Without keeping track of the numbers somewhere else, you’ll fall out of alignment in a hurry. One way to keep track of your budget is in a spreadsheet or even better is with budgeting software. We’ve heard a lot of great things about YNAB (You Need A Budget). It’s specifically designed to help you not only stay within a budget but also meet your goals. After all, you want to eventually pay off your student loans. While a spreadsheet can help with budgeting, things can get more complex once you begin factoring in goals, which can change. YNAB will keep track of changing a budget and goals. As your income fluctuates or you finally save enough for your emergency fund, your budget and goals will change, since the extra cash needs to find its best use. YNAB makes you spend only the money you have. So no running up credit card bills. It’s a great system. We believe it should be the first step when implementing a budget while also paying down student loans. Often people will make a budget only to find they’ve blown it out by going over. Why does that happen? The problem is that their lifestyle takes time to adjust to the rigor of a budget, assuming it ever does. Going over your budget month after month is a bit defeating. It doesn’t take long before you completely abandon the budget. If you find yourself in this situation, ask if your budget is realistic based on your income and spending. It can be difficult to apply a strict budget and expect to follow it cold turkey. Instead, slowly walk into your budget. Start with one that isn’t so strict. Instead of spending $300/mo on eating out, try $275/mo for a couple of months. You’ll start strengthening your financial discipline. As your budget slowly gets more strict and clamps down harder on spending, you’ll consistently free up more cash. This cash can go to work on your student loans and emergency funds. As you create a more strict budget, you’re also adjusting your goals. You’ll be able to see your student loan payoff dates move up, which is sure to provide you with more motivation to continue working the system. In the last section, we talked about starting with a less strict budget and slowly allowing it to become more strict. Then as cash frees up due to the budget-adjusting, your goals will also adjust. This may sound like the budget is wagging the student loan tail. To keep your eye on the long-term plan (paying off your student loans), consider setting your goals and then adjusting your budget. If you have a $40,000 student loan, when do you want to have it paid off? This date may align with other big goals such as buying a home or starting a family. Whatever your big goal is, keeping it in sight will allow you to remain focused and ensure your financials don’t get out of line. For most graduates, student loan payments are likely the #2 big expense in the budget behind your rent or mortgage payment. And it can be expensive. As you start looking at your budget and goals, ask yourself if your payments align with your budget. 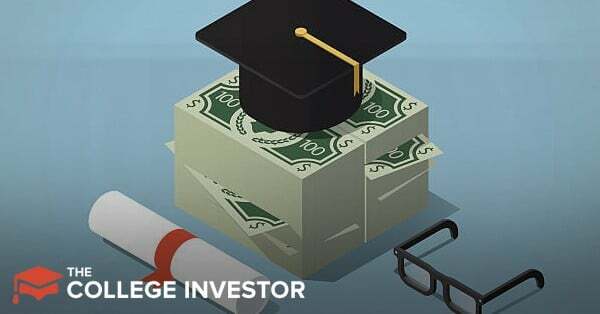 Of course, you can build your whole budget around your student loan payments, but make sure that you’re making the most efficient student loan payments you can at your income level. What this means is simple: find the best/lowest repayment plan that makes sense for you. Most people don’t realize that when you start making payments on your loans (specifically your Federal loans), you are automatically put into the Standard 10 Year repayment plan. This is usually one of the most expensive plans! For Federal loans, there are lots of student loan repayment options. If you can’t afford your standard repayment plan amount, look at an income-driven repayment plan that matches your student loan payment with a percentage of your income. 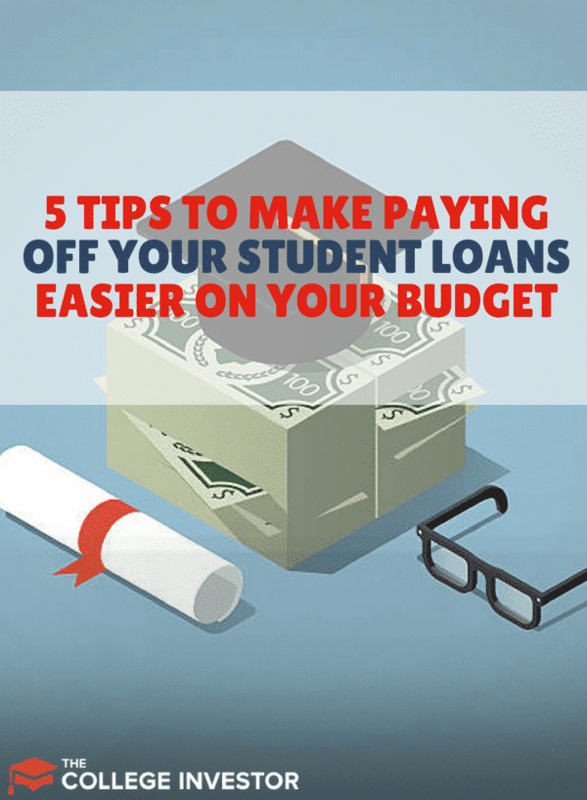 This can really help your budget and make sure you don’t get behind on your student loans. If you have private loans, or if you’re trying to pay off your Federal student loans faster, look at refinancing your student loans. Before you decide to refinance your Federal loans, make sure that the savings is worth losing your Federal loan benefits (such as income-driven repayment plans, loan forgiveness options, and more). Try getting a lower rate on your student loans by refinancing with a company like Citizens Bank. They make student loan refinancing easy and you can see if you’ll save money in just a few minutes through the rate quote tool on Citizens’ website. ​Enter your info here to find out what you lower interest rate could be! Refinancing involves replacing your current loans with a new, private loan. This not only simplifies repayment, but it could also lower your monthly payment and/or save you money in interest over the life of the loan. Budgeting is all about living within your means and hitting goals. While some expense reductions are straightforward, there are creative methods that can help you save money. Below, we’ve provided a couple. Ridesharing - owning a car is a big expense: Car payments, insurance, maintenance, and gas. Consider using a ridesharing service and after a month, see how it compares to owning a car. Recurring monthly expenses - Are there some recurring expenses hanging around that you rarely or never use? Cut them! There are apps that can help you find an eliminate your recurring expenses - especially ones you might not even remember! Hack your housing - Housing it typically the most expensive line item of any budget. If you can save here, you can save big! Look at tricks to hack your house - from having roommates to listing your spare room on Airbnb to earn extra income. You could even consider moving to a less expensive area and commuting if the math makes sense. There’s only so much you can cut from your expenses. If your student loan goals are still out of reach, you’ll have to move them further out into the future or start earning more money. Here are a few tips on how. Become invaluable at your job. Try to learn everything you can about your job. Get to work done on time and be known for being reliable. People will start depending on you. Also look at positions above you and what they require. Ask your manager if you can start taking on some of those tasks. It may lead to a new position with a raise or put you at the front of the line for a bonus. This is money you can plow into your student loans. Do you have a skill you can earn money at? If you aren’t sure, check upwork.com and see who’s making money and what skills they’re using to do it. Set a goal to try and land a few gigs to generate extra income. There are countless ways to earn more money. Here’s our list of 50+ ways that you can earn extra income on the side. No matter what you’re interests or availability are, you can earn more money. Not busting your budget is key to continually using a budget. By being realistic about how much you can cut spending and setting goals that you achieve, you’ll soon have a successful, symbiotic relationship between your student loans and budget. And once you reach that point, you can start making solid decisions around how you can best pay off your student loans - even if you’re on a limited budget.